In order to control malpractices in research, IICMR Research & extension Committee has set norms and code of ethics. major to stop falsifying of data or information. present them in conferences at national & international level. To prepare faculties & students for the original research paper publications in journals. year with original research papers. 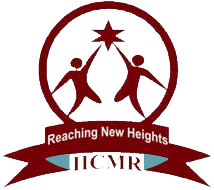 As IICMR Post Graduate Research Center is affiliated to SPPU Access to Turitin Plagiarism Detection Software is used.